Last week I was hit with an unpleasant variant of a virus infection, which combined fever and a lot of stomach problems. It announced itself for several days before it the fever hit via muscle aches and tension. I ignored the signs and kept my usual route of morning cycling. But when the fever and the vomiting started, I had to spend a day in bed and rest up a bit. And like after every flu or cold, I came to the question of when to continue with my workout. This article has a very good summary: if it’s above the neck - it’s okay to train, if it’s below the neck – rest up. Getting back to cycling is trickier than deciding that you won't work out a couple of days because you are sick. After a couple of days of rest, you usually feel quite good, as long as you don't strain yourself. My first reaction was to get back to my usual routine immediately, but it would have proven to be an epic fail. Luckily, I walk to work, so I have the chance to 'feel out' my physical condition by doing a 1 km walk. If halfway to work my body starts to react with painful stings, it's a signal that I am still not fully ready to resume cycling. It usually takes me between a week and two weeks before I get to my usual morning route. Also, you may be on a specific illness recovery diet, so returning to regular diet may need to be a careful and gradual process. Remember, you are not getting paid to exercise, you need to be healthy first and fit second. The world won't stop turning if you miss some days of fitness to recover. My programme of restarting cycling after a flu looks like this. My regular morning route is 25km in 53-56 minutes on a flat track. You should adjust the speeds and distances depending on your fitness level and regular daily route and speed. 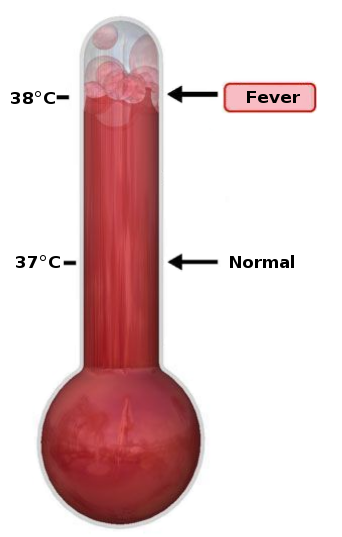 Days -5 to 0 - estimated flu or strong cold. No workout whatsoever. Last day of illness should be with no fever, very low or no muscle pain. Day 1 - first day of recovery (minor muscle pains). Simple and slow walk, no more than 1km. If you start feeling muscle pains, go back and rest. Day 2 - second day of recovery (no muscle pains, still low on energy). Two walks, 1 km each. If you start feeling muscle pains, go back and rest. Day 3 - third day of recovery (no muscle pains, energy recovering). One walk 1 km. If all is ok, 1 relaxed ride, 10km/h, a maximum length of 10 km. You are back to normal, push on! This restart of cycling is designed of a slow body recovery from a light illness like flu. For more serious conditions, you should consult your doctor. How do you recover from an illness and continue your workout? Talkback and comments are most welcome!